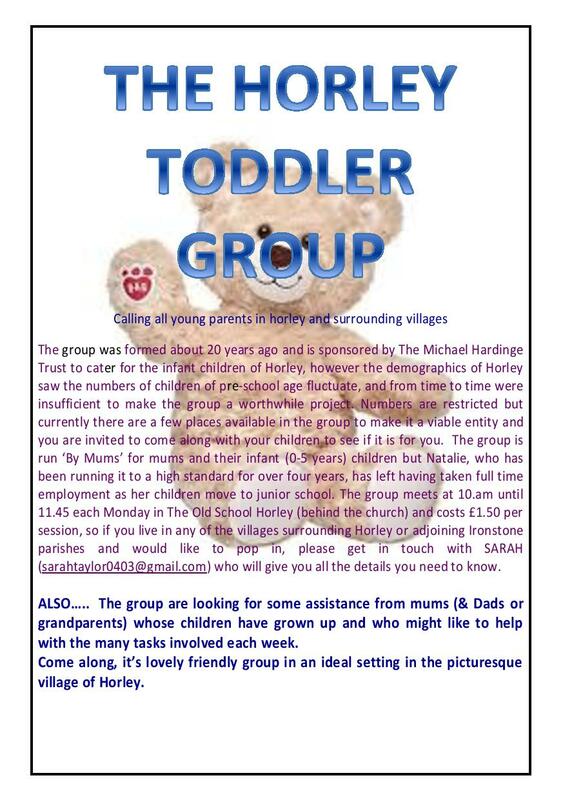 Horley Toddler group which meets weekly on a Monday morning have a few places for new infant children from Horley and the surrounding villages. See below. This entry was posted in Michael Hardinge Trust and tagged Horley Toddler Group, Michael Hardinge Trust, The Old School on December 6, 2018 by thehorleyviews.